The timing may be tricky for The Secret Life of Pets which has the misfortune of arriving in the shadow of Finding Dory, a surprise hit that has already raked in over $400,000,000 domestic. That film, which has been at the top of the charts for the past two weeks surprised everyone not only by its success but also by that fact it was a darned good movie. With that, you could understand why The Secret Life of Pets has been running a persistent and rather overbearing ad campaign over the past four months. With the success of The Jungle Book, Zootopia and Captain America coupled with Dr. Strange, Moana and Star Wars still on the way, Disney is on top of the world. With that Illumination Entertainment (which produced this film) is desperate to divert your attention. So, having been witness to the non-stop advertising for this movie, it’s time to answer the million dollar question: Is it any good? The short answer is yes. The movie is very cute and sometimes very funny. You’ll see it and you’ll have a good time, but it is likely that you’ll probably forget about it by next weekend when Ghostbusters comes out. Did I enjoy it? Yes. But, I wish it had been the movie that the trailer promised me. The idea here was to take a peek into the lives of what our pets do while we’re working all day. The tagline is very clear: “Ever wonder what your pets do when you’re not home?” I have three dogs, a Dachshund and two Chihuahuas, and I guarantee that their day is filled with naps, window patrols and occasional scratching. I don’t think my dogs leave the house, travel through sewers, fight alley cats and race madly through downtown traffic. The story does not live up to the promise of the advertising but what we have here is not a total washout. We’re introduced to at least a dozen animals, not only dogs and cats but assorted birds, fish, lizards, turtles, rabbits, snakes etc. The central focus is on Max (voice by Louis C.K.) a Parsons terrier whose whole existence is wrapped up the love he receives from his owner Katie (Ellie Kemper) yet he wonders what happens every morning when she steps out the door and leaves him behind. Max’s life with Katie is perfect until it all comes crashing down one day when she brings home Duke (Eric Stonestreet) a Newfoundland who looks like Chewbacca but is sloppy, thoughtless, careless and threatens to break up the peace and happiness of Max’s perfect little life. Inevitably a rivalry begins as Max and Duke play a series of tricks on one another to determine who is the alpha mutt. In a plot not a million miles removed from Toy Story, the two rivals end out in the wilds of New York City without their collars and go on the run from Animal Control (apparently New York only has two guy working the whole city). Somehow Max and Duke manage to bring along every other neighboring pet in their apartment complex including Gidget (voiced by Jenny Slate), a Pomeranian; Chloe, a shiftless cat who couldn’t care less (voiced by Lake Bell); Mel, a hyperactive pug (voiced by Bobby Moynihan); Buddy , a dachshund (voiced by Hannibal Buress); and Sweet Pea (voiced by Tara Strong), whose dreams of flying on wings of Eagles is kind of inspiring. But my favorite characters are the ones they meet out in the world. Albert Brooks is the voice of a trained hawk named Tiberius whose fierce appetite for small animals is matched by loads of Judaic neurosis. The other is Pops, a wheel-carted Basset Hound voiced by Dana Carvey who turns out to be smarter and far more resourceful than anyone might guess. The adventure out in New York City is not all that surprising. The gang runs into a mass assortment of stray animals, most notably a revolutionary anti-human organization led by a jive-talking bunny named Snowball (voiced by Kevin Hart) whose allegiance to Max and Duke shifts back and forth; and a gang of alley cats who have spent more than a few bad nights in the gutter. While the movie is fast-paced it’s more frantic than clever. The great knowing moments that we really want from the pets are few and far between. For example, the moment when an excited Chihuahua pees at the sight of his owner returning home is a treasure that has you nodding your head, but you find yourself wishing there were more moments like that and less of the car chase down the middle of a busy street. To be honest, I’ve already had two animated car chases this year first with Zootopia and then with Finding Dory so I was hoping that this movie would go in a different direction. The movie is problematic but I have a hard time dismissing it. It is a toxic cute dump, one that you can’t resist. The characters are less distinguishable than a movie like Finding Dory but they are certainly just as adorable. Yet, one can’t avoid the fact that the movie doesn’t have a central trajectory. At a certain point, the plot starts to ramble and we find ourselves going through just a series of stuff rather than a cohesive story. The plot has requirements rather than developments (Seriously, did we really need a side-trip to Duke old home?). Illumination Entertainment, which thus far is best known for Despicable Me and Minions is trying to borrow from Warner Bros. tradition of fast-paced comedy rather than from Disney’s tug at the heartstrings, but it doesn’t seem to know when to stop with the gags and get back to the story. Your kids will have a good time while they’re watching it (as I did) but they won’t take anything away from it. It’s fun for a while to watch the movie chase its own tail, but by the end it kind of wears itself out. 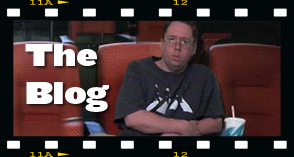 Jerry Roberts is a film critic and operator of two websites, Armchair Cinema and Armchair Oscars.